No one is quite sure when Hood might have lived, with most authors following Sir Walter Scott’s lead in Ivanhoe and placing him around 1194 and the time of King Richard, although the original tales mention King Edward which would push the time-frame back a century or so depending on which Edward they meant. There’s also some question over the religious aspects of the character – was he an extension of a pagan figure like John Barleycorn, Cernunnos or Herne the Hunter? Or was he simply a devout Christian as the early ballads suggest? The people of the middle-ages were certainly Christian, as the Crusades so violently testify, but they also held to some of the “old ways” – could a real man have taken on some of these pagan aspects and become the mythical figure we know today? 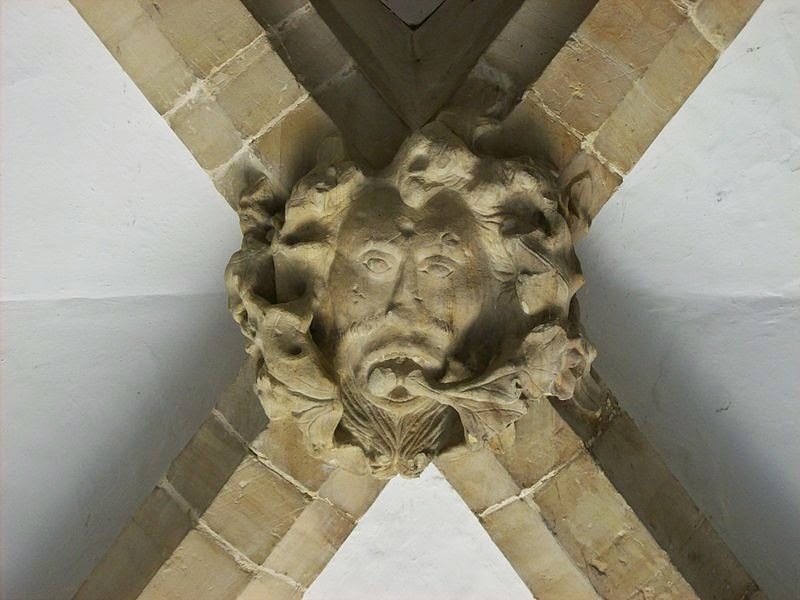 The Green Man represents nature and the seasons – more specifically the cycle of life, death and the rebirth in spring. John Barleycorn is similar, although he stands for autumn and the barley crop which would be used to make beer. It’s obvious this kind of archetype – of a symbolic figure that brings life (and beer!) to the common man while triumphing over the oppressive, killing cold of winter – fits nicely with the myth of Robin Hood. Indeed, in my own Wolf’s Head Robin brings ale, food and money to the starving people of Wakefield, foiling the ever-present medieval spectre of an early death. Of course, the bold outlaw has been portrayed countless times in TV shows and movies – the hugely popular “Prince of Thieves” and Richard Carpenter’s wonderful fantasy-tinged “Robin of Sherwood” probably being the pick of the bunch, but the popularity of the recent BBC series and the Russell Crowe movie proves again how audiences continue to connect with the legend. In novel form Robin hasn’t fared quite as well as the ever-popular King Arthur, who was, of course, immortalized in fantastic books by Bernard Cornwell and Marion Zimmer Bradley among others. Angus Donald has taken a refreshingly new look at the character in his successful Outlaw Chronicles, making Hood something of a medieval gangster, although the books are still set around the 13th century. David Pilling, Prue Batten and Parke Godwin are others who have explored the legend although I haven’t got around to reading them yet, simply because I don’t want to be accused of stealing ideas! There are, of course, lots of other ideas and theories around Robin Hood. Was he really William Wallace? Was he a Templar knight as suggested by John Paul Davis in The Unknown Templar? Or the Earl of Huntingdon, rather than the yeoman of the early ballads? Did he really use a longbow or did that only come into use after Robin lived? We’ll probably never know the answers to these questions, and that’s the great thing about Robin, Little John and Will Scarlet, just as it is with King Arthur and Merlin: we can allow our imaginations to fill in the blanks, knowing no one interpretation will ever be “right” or “wrong”. 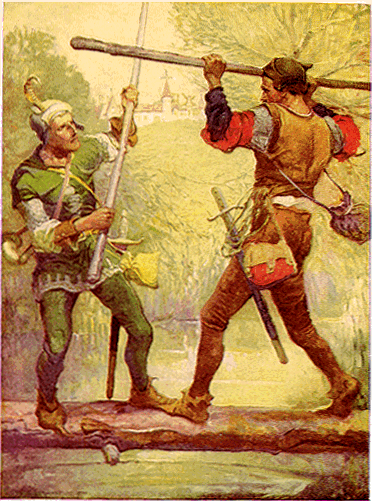 For me, there was a real man – or more likely men – that the Robin Hood legend was based on, over a period of decades. Hard men – probably violent criminals that weren’t very heroic at all. But their exploits – stealing from the obscenely wealthy while evading the unpopular ruling class – brought cheer to the downtrodden peasants and commoners of the medieval period. The tales grew in the telling to include elements of heroism, paganism and romance until, eventually, Hood became a symbol for justice and, perhaps most importantly, hope. But that’s just how I see it. 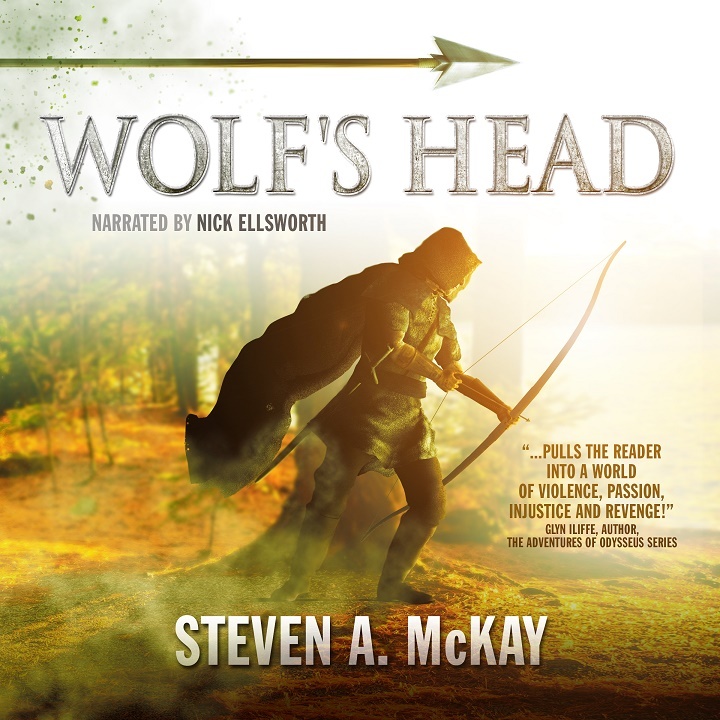 How do you picture the legendary wolf’s head and his band of men? In the end, that’s all that matters! Share your thoughts in the comments section below. This blog post originally appeared on the English Historical Fiction Authors website on November 22, 2014.